Additional revenue from your turbine at no investment. EWT’s extensive R&D program delivers a continual stream of improvements. From this our engineers have developed a new control system and self-learning algorithms. These are now being made available to owners of DW52/54 turbines as an upgrade to improve the yield of each turbine. 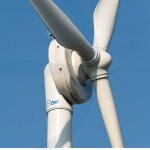 The upgrade package contains new control software to be installed in both the turbine and converter and includes mounting a high-resolution accelerometer on the nacelle. The actual yield improvement will depend on site wind conditions and turbine configuration and is expected to increase your turbine’s production by 1.5 to 4% which results in significant additional income for you over the lifetime of your turbine. EWT is pleased to be able to offer this upgrade on a “no cure, no pay” basis. For more information contact Lisa Bryan.